Caring for Pádraig | Pádraig Schäler acquired a very severe brain injury when he was hit by a 4.3 ton van on 27 June 2013, cycling on Cape Cod. Prior to walking the last mile from the Brewster Police Department on 631 Harwich Road to the spot of the accident near 2019 Main Street, Brewster, they hope to meet Attorney General Maura Healy in Boston to receive an update on the investigation into the serious issues they raised in relation to the accident investigation. Repeat their call for a programme of driver education on the Cape and an initiative to make adequate insurance cover for drivers obligatory. Support their call for better road safety driver education and un-biased accident investigation by writing to the Attorney General and the Governor of Massachusetts. Download and share this flyer for more background and details about Pádraig’s Walk for Life. If you want to find out more about the An Saol Foundation – Life and Living with a severe Acquired Brain Injury established in Ireland following Pádraig’s accident, check out the Foundation’s website or contact info@ansaol.ie. The An Saol Foundation is about to embark on a three-year pilot project funded by Ireland’s Health Service Executive (HSE) offering day centre services for survivors of severe Acquired Brain Injury. The initiative was announced in 2017 by the Irish Minister for Health, Simon Harris, T.D. Open Letter to the Governor of Massachusetts Charlie Baker and the Attorney General of Massachusetts Maura Healy calling for an independent investigation into the decision by Brewster Police Department not to cite the driver of the van that hit Pádraig, sent in June 2015. This letter was never acknowledged in writing. The points we made and questions we asked never answered adequately. in your school, college, place of work, or neighbourhood! 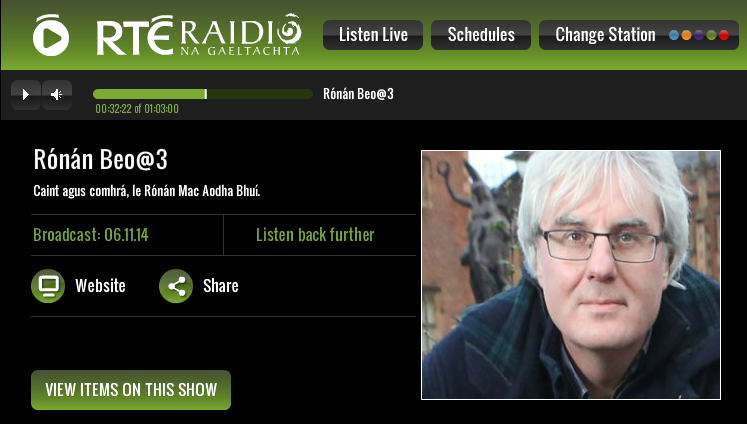 Extracts from the Amhrán do Phádraig album, recorded by 40 of Pádraig’s friends during the summer of 2014 were played for the first time live on national radio on 06 November 2014. Listen to the beautiful interview with Maitíu O’Casaide of the Bonnymen by Rónán Beo@3 on RTÉ Raidió na Gaeltachta playing live on air extracts from the album, including Conamara, opening the programme, by Claire Hyland and Aisling Ní Laoire), the title track Dreamboat, in the background during the interview with Maitíu, by the Dreamboaters; the poem Pádraig (by Marcus Mac Conghail); and Ní Bheidh Tú Riamh leat Fhéin (You will never be on your own), by Lauren Ní Chasaide and Fiona Pain. Check out “Dreamboat” on youtube (with chords and lyrics), follow the ‘making of‘ on Facebook (give it loads of ‘likes’), and buy the album for your friends and family! Pádraig Schäler (also known as Patrick, Paddy, ‘Schaler’, and Big P!) was knocked off his bicycle as he cycled to work on Cape Cod on Thursday, 27 June 2013, at 10am. He has remained in a coma ever since. He had just finished his undergraduate studies in Trinity College and had planned to spend the summer on a J1 working visa in the US while considering which of his many plans for the future he should pursue. After a few weeks in Cape Cod Hospital, his family brought him home to Dublin’s Beaumont Hospital. Four months later, they decided to move him to a dedicated early neuro-rehab facility in Hamburg, Germany. The family have had to cover very significant expenses since the accident happened. His air ambulance flight to Germany alone cost 12,000 euro and had to be paid for by them. Alternatively, you can contribute online. 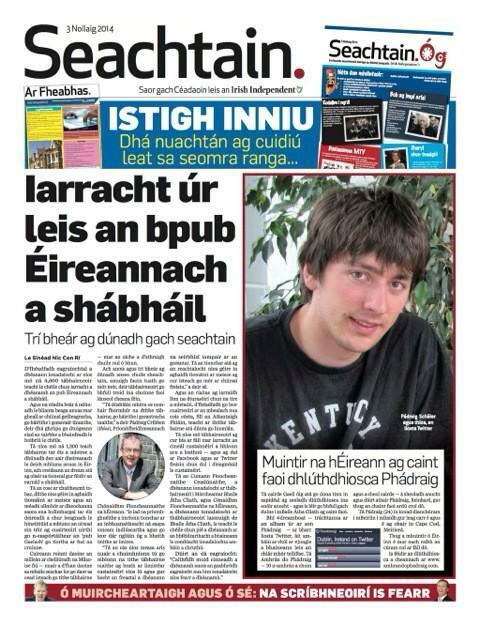 The family will use all their energy, once Pádraig’s condition has improved, to highlight the shortcomings of insurance policies sold to young students planning to work abroad; the inadequate protection of cyclists in the US by the authorities; and, most importantly, the lack of appropriate care and therapy for patients with brain injury in Ireland. Please send any questions or comments you might have to CaringforPadraig@gmail.com. In the news: RTÉ Nuacht (29 June 2014), PRESS RELEASE (30 June 2014), University Times (02 July 2014), Meath Chronicle (02 July 2014), TheJournal.ie (01 July 2014), the Evening Herald (11 July 2014), and the Boston Irish Reporter (01 August 2014), Rhode Local Paper, Co. Offaly (25 October 2014), Máirtín Ó Muilleoir in NewBelfast.com (02 November 2014), Rónán Beo@3 (06 November 2014), TheJournal.ie (29 November 2014), Herald.ie (03 December 2014), Irish Times (03 December 2014), NewsTalk (03 December 2014), Seachtain (03 December 2014), Céili House on RTÉ 1 (13 December 2014). Launch of the song “Pádraig” (11 June 2015) with short live video – buy the song here to support Pádraig’s rehab programme!